Images of the Owl Project’s Studio, and an example of their work. 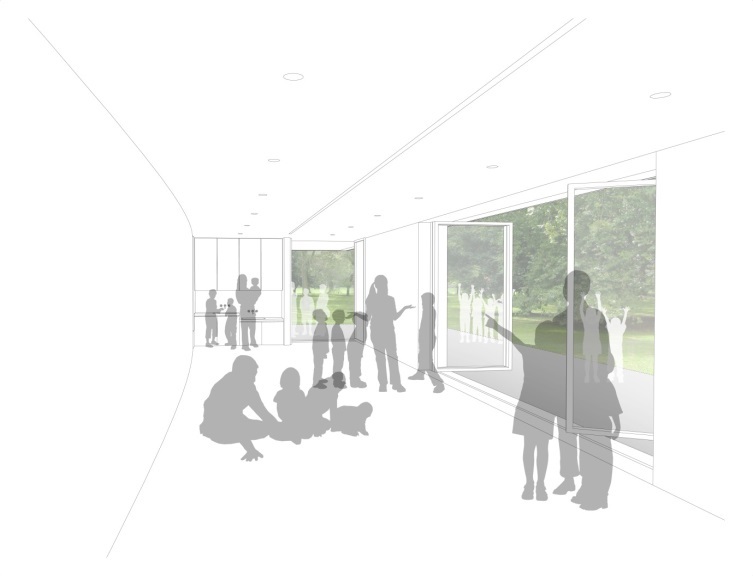 Over the next few months we will be exploring how some of the Whitworth’s Creative Practitioners use their studios to be creative, as well as looking at the studio practices of artists in our collection to help us develop ideas for our own new Clore learning studio leading up to the Whitworth’s reopening. Many of the artists who work with the Whitworth on our learning programmes have their own studios around the city. The Owl Project is a collaboration between artists Antony Hall, Simon Blackmore and Steve Symons who share a studio in central Manchester. 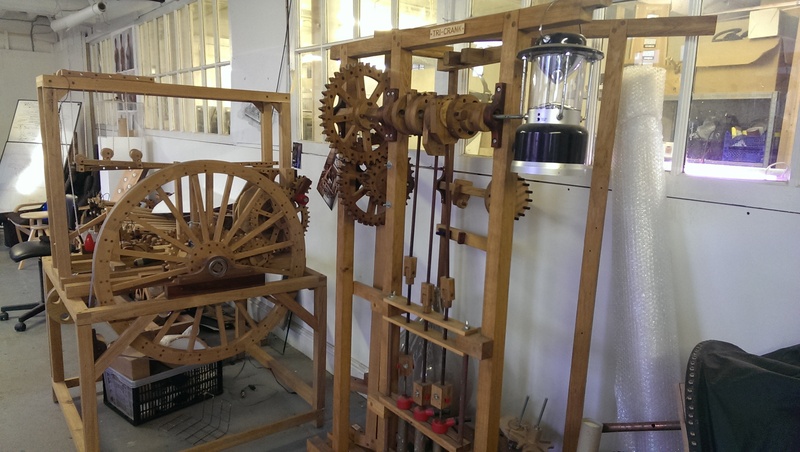 Here they work on collaborative projects that blend sculpture, computer technology and woodwork to create interesting machines and instruments that comment upon artistic and commercial practice. The three have worked on large commissions for international institutions as well as working closer to home at the Whitworth and Manchester Museum. 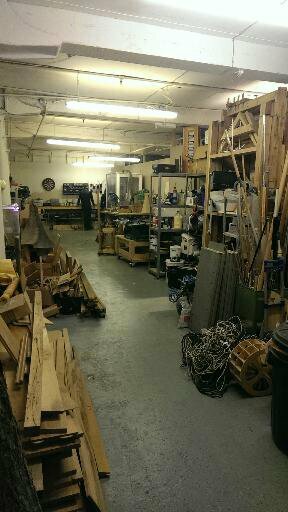 Their studio is at the heart of their work and is used by all three as a space for creative thinking and practice. 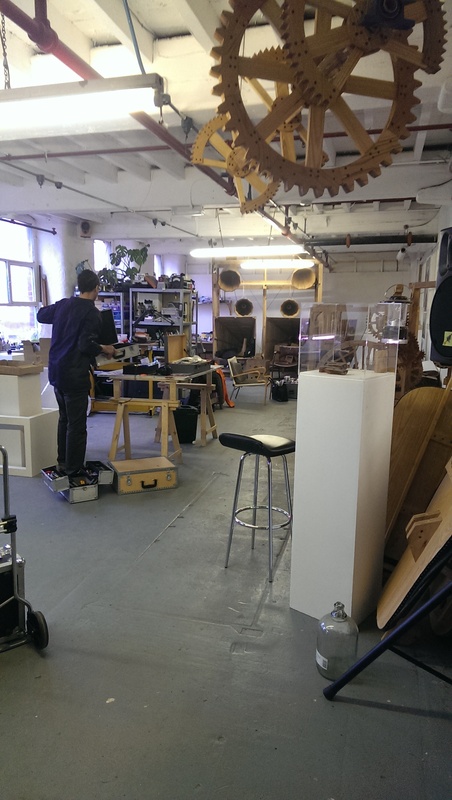 The studio is divided into their workshop, stocked high with materials and equipment, and their studio, where the artists develop their ideas using computer technology and smaller pieces of machinery. The group are experimental with their work and as a result their studio is the site of much of their research. They use whiteboards in the studio, rather than sketch books, so that ideas can be quickly developed and explored. Each of the artists has their own desk in the studio where they experiment with various technologies and mechanisms that interest them, but a major part of their work involves bringing these individual expertise together to work collaboratively. Their studio is organised in order to incorporate both their personal and collective practices and offers a great example of how studio spaces can support the work of art groups. By organising their studio into spaces for independent and collaborative work, and designating areas for either conceptual and practical work the artists are able to utilise their studio effectively throughout their creative processes. The trio also run their own workshops that centre around their principles of producing art that explores the relationship between humans and consumer technology. Their ilog workshops allow participants to work collectively in order to produce idiosyncratic artworks that resemble modern day high street goods such as ipods. The process of making the pieces takes the form of a production line, and at the end participants have created their own individual product, as opposed to purchasing a mass-produced item. Through their workshops the team not only demonstrate their values of craftsmanship and materiality, they also reflect the organisation of their studio, where collaborative thinking and production are promoted by their creative space.